VoIP, or Voice over Internet Protocol, is the future of business communication. As the name suggests, VoIP is a means of delivering voice and multimedia communication online. It functions like any other phone system, allowing your business to have internal lines with the capability of dialling to any phone line in the outside world. 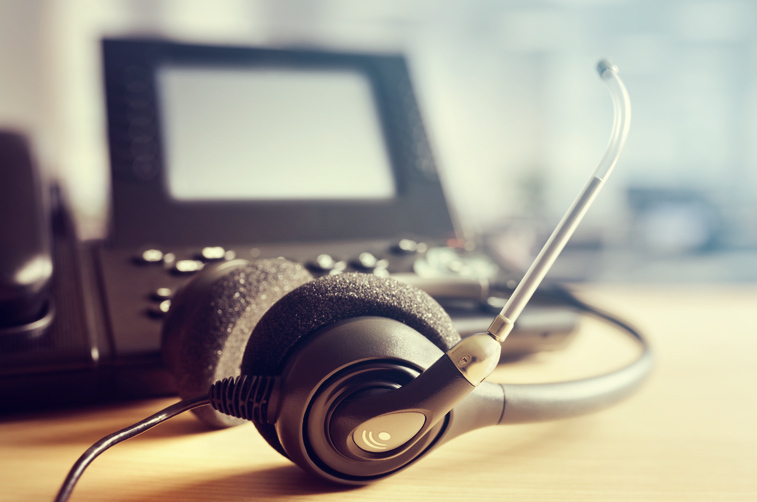 The biggest difference, and perhaps advantage, of VoIP is that it offers custom scalability and adaptability with much lower costs than traditional phone lines. A VoIP system powered by high-calibre routers, streamlined software and the latest handsets means you will never have to compromise on the quality of your calls. Your business can expect crystal clear, low-latency conversations even during the busiest periods of the day. Flexible functionality allows you to quickly and easily upscale operations as-and-when your business needs it. VoIP is as secure as any other telephony solution, and our systems are protected against malware, denial of service attacks, phishing and call tampering. Phone systems can be held on-site or hosted, depending on your business preferences. New VoIP users can be added in a matter of minutes. Whether you need to provide existing employees with the capability of working from home or are simply expanding the number of telephones in your office, our integrated VoIP solution can be moulded precisely to your requirements. For further information on how a VoIP system could streamline the way your business communicates, simply contact a member of our friendly and experienced team who can guide you through the basics of how VoIP systems work and arrange a site survey to ascertain your requirements. Have a query? Simply give us a call on: 0161 358 1040 or send us a message using our enquiry form. Providing lifeline services between the Scottish mainland and the Shetland and Orkney isles. Enhanced WiFi at sea and in port. Point of Sale refresh, upgrading all onboard tills, receipt printers and pinpads. Offshore financial services company providing tax efficient payroll systems to non-UK based personnel. IITAC manage a fully redundant IT and telephony system based offshore and in Manchester, with warm standby facilities. Provider of point of sale systems, primarily to stadium and event locations in the UK. Our first exposure to iitac was during the tender process for a cruise & ferry new business start-up. It soon became apparent that iitac had a far greater understanding of onboard requirements than our in-house staff. As a result, iitac worked closely with us to deliver the onboard solutions to the required customer schedule. We look forward to enhancing the relationship in future projects.